Your adventure starts in the Historic town of Swakopmund in Namibia. We spend a full day in Swakop enjoying some of the many adventure activities on offer. 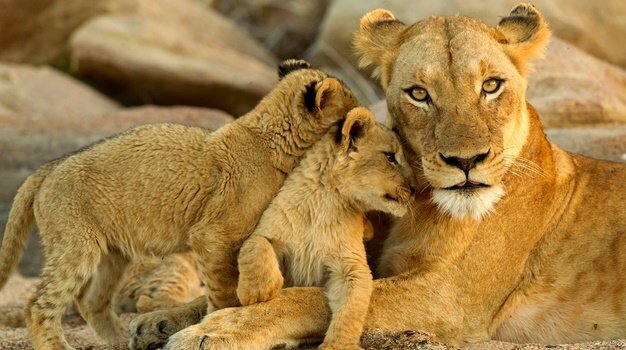 From the adrenaline capital we head north to the spectacular Brandberg, drive along the desolate Skeleton Coast National Park, spend time in the Rock desert of Damaraland and end up game viewing for four days in the magnificent Etosha National Park. The Skeleton Coast Park stretches from the Kunene River in the north for approximately 500km to the Ugab River in the south. The landscape includes sand dunes, canyons and mountain ranges. Springbok, oryx, hyena and ostrich are fairly common, while Namibia's rarely seen desert elephant, black rhino and lion may be found in the dry riverbeds.nto the tribal trust land of “Damaraland”, one of the most scenic areas in Namibia, prehistoric watercourses with open plains and grassland, massive granite koppies and distant mountains create the Damaraland landscape. Game species in this area include desert elephant, black rhino, ostrich and springbok, and the local community provides guided rhino and elephant tracking safaris. The proceeds from these go towards the preservation of these unique animals. The group meets in the afternoon at the Alte Brucke Camp Site in Swakopmund where, on your arrival, the team will be waiting to welcome you. Our accommodation is in tents for the evening. Once you have settled in, we get together to enjoy dinner around the fire, and your guide will make use of this opportunity to chat about what you can expect to see and do over the next twelve days. We spend today exploring the town of Swakopmund. There are a number of activities to choose from which include skydiving and sand-boarding, dolphin and whale watching and the all-time favourite, quad biking in the desert. Your tour leader will provide you with all the relevant information and make the necessary arrangements. (Please note: all extra activities are for your own cost). After an early breakfast we take a guided walk up into the Brandberg Mountain to visit the famous “White Lady” and the numerous other bushman paintings that can be seen in this sacred canyon. Along the way, we will enjoy a picnic lunch.We return to our camp and spend the afternoon relaxing around the pool. Late afternoon we travel in our vehicles to the foothills of a giant koppie where we enjoy a spectacular desert sunset while sipping “sundowners”. Leaving the Brandberg region, we drive north to visit spectacular geological and archeological features. We will visit the nearby Burnt Mountain with its eerie charred mound of volcanic debris and the bizarre volcanic rock formation known as the Organ Pipes. We will also have the opportunity of getting “up close and personal” with the strange Welwitchia plants.We visit Twyfelfontein, well known for its prehistoric paintings and rock engravings as well as the Petrified Forest, with its 30 metre long petrified tree trunks deposited by prehistoric glacial flooding. The road to Palmwag is a gravel one through a region characterized by small hills and semi-desert scrub, nestled amid the red hills in the heart of Damaraland. From dawn to dusk, Damaraland and everything this beautiful place has to offer ensures a busy day ahead.Driving through the Toro Conservancy we follow the course of the dry riverbeds of the Huab and Uniab Rivers, where we hope to catch a glimpse of the magnificent desert adapted animals. With luck we will see the elusive desert black rhino and elephant. Upon our return to camp – we have the opportunity to refuel our vehicles. We leave Palmwag and Damaraland via the Grootberg Pass, and on to Kamanjap and Outjo, where we refuel, and there will also be “shopping time” at the well-stocked supermarket.And then on to Etosha! Once again, the Bhejane crew will be waiting to welcome us.In the late afternoon, we leave camp to test our game viewing skills, either at a waterhole or on a drive around the edge of the pan. Back in camp we spend the remainder of the evening observing the nocturnal activities at the floodlit waterhole in the camp. Early to rise, and we wake up to another hearty breakfast as the sun rises over Etosha. We can either spend the morning waiting for the action to come to us, whilst we park comfortably in the shade at the famous Ombika waterhole, or drive around the park’s excellent road system, to test our game viewing skills.Will we see game? We surely will! As bird life is extraordinary with 325 species identified, and the animals which live permanently around the pan number approximately 30 000 blue wildebeest, 25 000 springbok, 23 000 zebra, 5 000 kudu, 3 000 hartebeest, 2 600 eland, 3 000 oryx, 450 giraffe, 2 000 elephant, 260 lions, 200 black rhinos, and numerous smaller creatures. Returning to camp for lunch, we spend the early afternoon enjoying the pool and the other attractions that camp has to offer. In the evening we visit the fabled “Sprokieswoud”, a strangely localised forest of Moringa Ova Folia trees, and also testing our game viewing skills along the way.Back in camp, and after enjoying another of our chef’s culinary surprises, we once again spend the remainder of the evening observing the nocturnal activities at the floodlit waterhole. These are our last two full days of the trip and, with Etosha being so vast, everybody has the chance to go off on their own on some game viewing experience. By now you will know which part of the park is your favourite and where you have had the most success.The Bhejane guide will always be on hand with advice and, like on the other game viewing days, the catering team will be happy to supply those of you who are heading out for the day, with a packed picnic lunch.Once we have settled into our camp that evening, we enjoy a sociable evening around the campfire reliving the exciting events of the day, and the "night owls" can pay a visit to the floodlit waterhole.